Alphabet (NASDAQ:GOOG, NASDAQ:GOOGL), the parent company of Google, beat on earnings estimates but missed on revenue. GOOG stock fell in morning trading to the lows not seen since April. Separate from the disappointing revenue numbers, a series of setbacks has weighed on the stock recently. Meanwhile, the company continued to increase its cash position. Given these facts, I believe if GOOG begins to use some of its cash to pay dividends, it would stem the decline of Alphabet stock. GOOG blew away earnings estimates, reporting $13.06 in third-quarter income. Analysts had expected only $10.40 per share in earnings. This also far exceeds last year’s Q3 earnings of $9.57 per share. However, revenues fell short of Wall Street expectations. The company reported that they brought in $33.7 billion in the previous quarter. Consensus revenue estimates were $34.05 billion. GOOGL brought in $27.77 billion in the same quarter last year. Alphabet blamed the strong U.S. dollar for the slightly lower revenue numbers. Despite the 21.3% year-over-year increase in revenue, investors sent Alphabet stock down in morning trading. Like in prior quarters, Google’s ad business accounted for the vast majority of revenues — $28.95 billion to be exact. This came in about 20% higher than last year’s number. While the market has adjusted to Facebook (NASDAQ:FB) in this business, investors increasingly worry about competition from Amazon (NASDAQ:AMZN) as well. However, with 20% revenue growth, any concerns have yet to appear in the numbers. Also, those wanting to see GOOG stock depend less on ads will like what came out of this report. What Alphabet describes as “other revenue” came in at $4.64 billion, a 29% increase from last year’s number. This category includes cloud-related sales and hardware devices such as Google Home. Although I see nothing in this report that detracts from the company’s long-term trajectory, investors have soured on GOOG stock in many respects. The decline began when European regulators slapped Alphabet with a €4.34 billion ($4.92 billion) fine for using Android bundles to block rival apps. As a result, it stopped bundling Google apps to Android in Europe. Other negative news weighed on the stock during the quarter. GOOG faced criticism for introducing a censored search app for the Chinese market. Additionally, allegations that the company protected executives from sexual misconduct allegation has further hurt the reputation of the company. Despite the lowered stock price, GOOGL stock still trades at a P/E ratio of almost 47. That exceeds the P/E of fellow tech giant Apple (NASDAQ:AAPL) and is only slightly higher than Microsoft (NASDAQ:MSFT). However, AAPL and MSFT stock also stand out in one key area — they pay a dividend. As I mentioned before, the fact that Alphabet pays no dividend has begun to appear unseemly. As of the latest report, Alphabet now holds $106.42 billion in cash on its balance sheet. Only Apple and Microsoft hold more cash. Still, both of those companies also share their cash reserves with stockholders. Moreover, GOOG has seen its stock flirt with bear market territory just three months after hitting its all-time high. As things stand now, I think further declines for the stock will occur in the near term. However, if the company introduces a dividend, I would probably have to rethink that view. 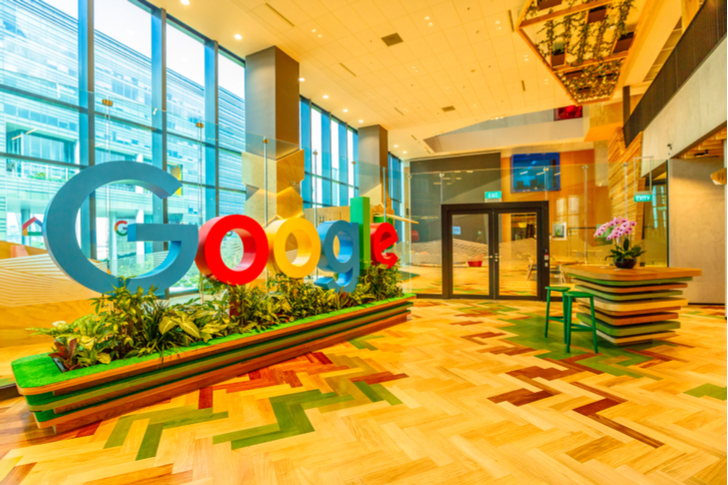 Given the revenue miss and its setbacks related to business in Europe and China, I believe a dividend offers the quickest path for a rebound in GOOG stock. Alphabet blew away expectations on earnings but missed on revenue. Wall Street punished the stock for the revenue number as GOOG fell in morning trading. This continues a decline that began in late July when European regulators ruled against Alphabet over bundles related to Android. Negative news in other areas has also weighed on the stock in recent months. However, the company still managed to increase its cash position. As a result, it now holds over $106 billion. Given these vast reserves, the company could join other tech giants such like Apple and Microsoft in paying a dividend. I believe this would stem the decline in GOOG stock and place the company on par with other mega-cap stocks in the tech industry. In its 20-year history, an immense level of success has blessed Alphabet. Giving some of that back in the form of dividends can only expand that blessing. Article printed from InvestorPlace Media, https://investorplace.com/2018/10/its-time-for-goog-stock-to-start-paying-a-dividend/.